After an accident, many people worry that their vehicle’s value will decrease drastically. While this isn’t uncommon to see, it’s important to understand the factors that go into a car’s depreciation so you can know what to do to try and minimize it after an accident as much as possible! Read on for Freeway Auto Body’s guide to restoring your car’s value after a collision. The nature and severity of damage sustained in an accident can greatly affect how much your car value decreases. Why? 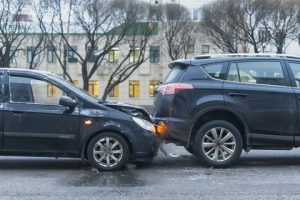 Dealerships don’t want to accept trade-in’s that have been in serious accidents because people are hesitant to buy them. The age and make of your vehicle can affect the decrease in value you see after an accident. Older cars have generally already depreciated a fair bit and; therefore, won’t see as large of a drop in value after a collision. Newer cars haven’t had as much time to depreciate slowly over the years, so you may see a bigger decrease. If you drive a popular make and model of vehicle, previous damage may not even matter. If the vehicle is in high enough demand, dealerships won’t drop their trade-in offer because they know they can turn around and sell it. The good news is that you can sidestep a lot of the above issues by making sure you get a quality auto body repair job in the first place. Freeway Auto Body will return your vehicle back to it’s pre-accident condition. Our sophisticated repair process ensures that we’re able to return your vehicle to original factory specifications. If you can show dealerships and potential buyers that you’ve invested in high quality repairs, and that your vehicle has been restored properly and completely, there’s no reason why you should lose any value when trading in or selling your vehicle. In Need Of Some Auto Body Work? Trust Freeway Auto Body to get your vehicle back to where it was before your accident. We service all makes and models of cars and will work directly with your insurance company. Stop by for a free estimate today!